We love the final product. Our bathroom is great and we look forward to working with Adam on our next project! Our Project Manager, Shane, did a great job communicating and keeping us posted on project status and timing of subcontractors. Shane, Pete & Lisa were all great to work with. It was a painless experience. Adam was great. He was over almost daily to make sure things ran smoothly and always remembered the smallest details. I didn’t need to worry about anything. He even looked at a light switch that I thought I’d blown. Eddy’s workmanship was excellent & didn’t even complain when I forgot to turn the AC down – he’s a pro. 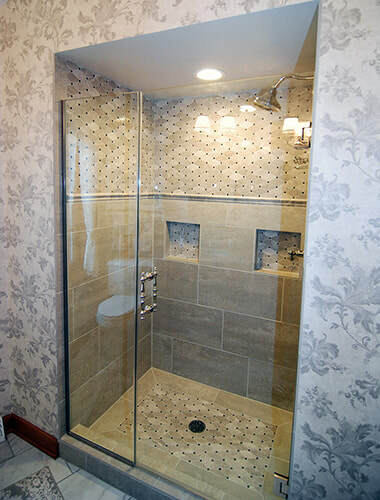 The tiler was a perfectionist – the tile looks beautiful. He took the time to go through the tile & lay it like I wanted. The electricians were really nice & did a great job as well as the men who put in my vent – they had to work in my attic on a hot day and never complained. The plumber did a really nice job & even moved the shower head – he didn’t need to offer that, but he did. The demo team were fast and clean. The painter did a really nice job. Tara was great and gave good insight/ideas for me to think about. The decorative tile she picked out for the shower is beautiful. She really put in her time for me. Once again, the design of our bathroom and bedroom renovation fit perfectly into this 1903 colonial revival home. The craftsmanship was detailed & created a perfect finished product. We remodeled a house almost 90 years old. They did a wonderful job with very innovative ideas & were easy to communicate with. They understood our vision for the space and made it happen. They did the work and did a good job. I was most satisfied with Adam, my Project Manager. He was the one we had the most contact with. He was personable, professional, and very efficient. He was awesome and attended to every detail flawlessly. We appreciated the willingness to modify and adapt as needs changed and developed. We also appreciated the rapid response time to requests and modifications. Subcontractors were all approachable and respectful of person, place and dog. Nathan uses quality, talented contractors who are kind, polite & fun! I appreciate the organization Nathan creates to get the job done swiftly. Tara and Shane were great. Our carpenter and drywallers were very friendly as well. Looks amazing and exactly what I wanted! Design process was great as it revealed ideas and possibilities I had either refused to consider or would not have come up with on my own. I would like to recognize Nathan, the owner, and Adam for their exceptional service. Adam was phenomenal. I don’t feel the company has fallen short, and everything has been great. I was most satisfied in terms of their customer service. They took great care of us. 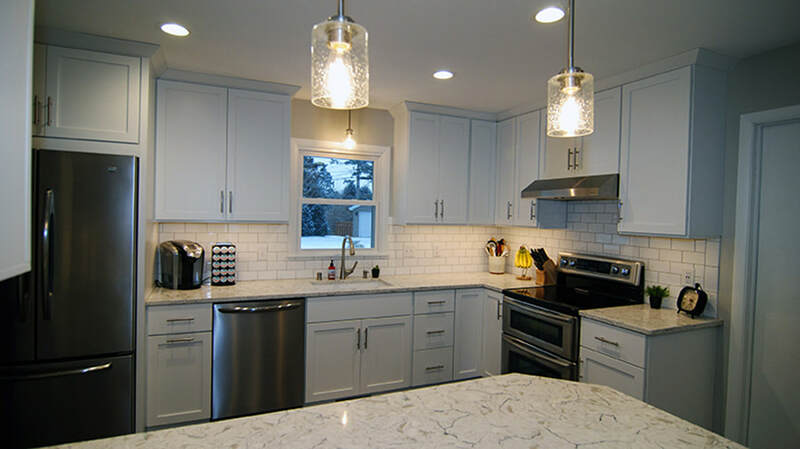 We started our remodeling projects last Summer with a remodel of a bathroom and it went so well that we expanded the project to include a bedroom addition and the conversion of the unfinished room over our garage into a great bonus room. We had a great project manager that kept us up to date in the projects’ status and the project timeline. Gabor has a great process for taking the projects from start to finish. Thanks again for all your work. We are super happy with the way the kitchen and bathroom turned out. You were very easy to work with and I appreciated how responsive you were with any concerns. I felt like you went beyond expectations to make things run smoothly and make sure we were happy. Thanks so much. I would definitely recommend you to anyone! This project has breathed new life into our 60-year old ranch house. 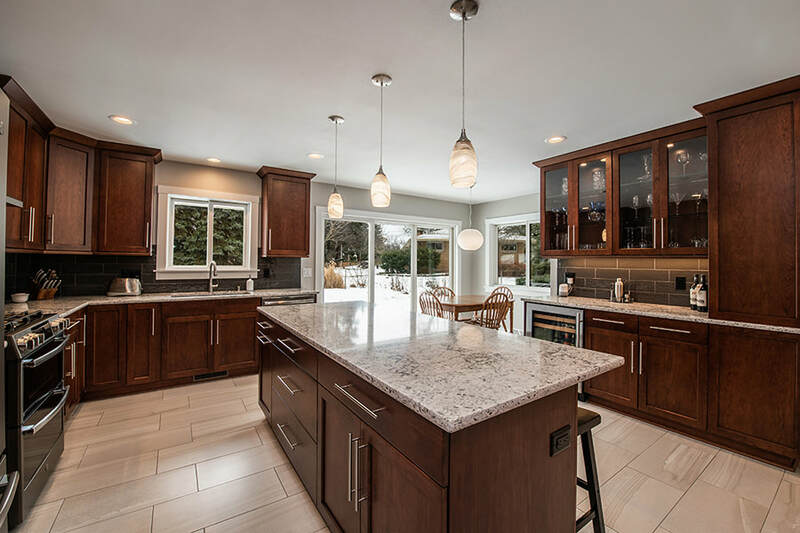 The addition provided just enough space for a beautiful new kitchen which is not the center of our home. 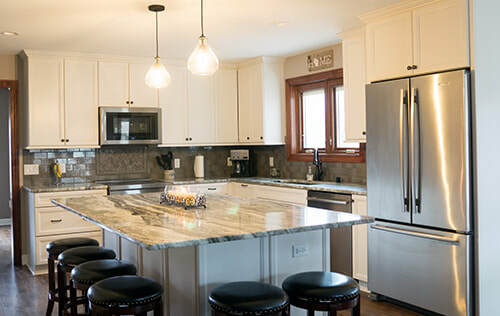 The design ties in so well with the existing home, and it was a pleasure to work with your team. Adam, our Project Manager, did such an awesome job of taking care of all the little details, while keeping everyone perfectly on schedule - The project was completed exactly when promised. Thank you for helping us create the kitchen of our dreams. Nathan Gabor was extremely thoughtful and meticulous when working on our project. He has a keen eye for detail and that was much appreciated throughout the process. Pete was very attentive and responsive. Overall, the project was a success. It transformed our home - every inch was repurposed and it created a functional space for our family. We are very pleased. Tara did a great job helping us sort through all the design options and guiding us along way. We are very happy with how both our kitchen and mudroom reflect a more modern yet classic design. Thank you, Tara! P.S. - The fireplace also turned out amazing. It transformed the room! Also, Shane has to be one of the most patient Project Managers. He handled all of our questions and concerns immediately and at all hours of the day. He kept calm when issues arose and, in the end, pulled it all together. Thank you! Adam was wonderful. He definitely worked with us on any issues we pointed out, and made sure we were happy with the final outcome. It was truly wonderful to have a contractor go to that length to make sure we were happy! Doreen’s design aesthetic came to life under Shane’s careful guidance. I can’t say enough about Shane’s dedication to positive communication. He was very responsive to my emails, calls or texts. He wanted this project to be a good experience for us and it definitely was. Doreen was very helpful with fabric, paint & flooring choices. Dan is a wonderful painter and Brian worked diligently to assure the carpentry looked just right. Mike did a beautiful job refacing our fireplace. He is a true artist with his craft. 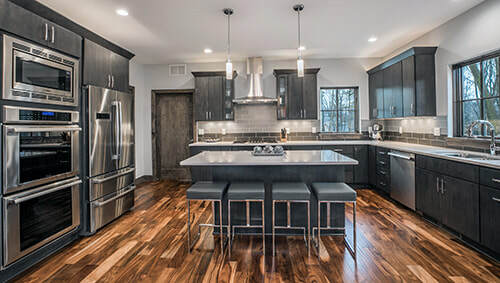 Our previous interaction with remodelers left me wary to tackle another project, but the experience with Gabor Design Build was so much more rewarding. Shane and Pete and you excellent craftsmen made all the difference. Attention to detail was paramount. I’d recommend Gabor in a heartbeat – Thank you! Tara, Shane and Pete worked with us to remodel our two bathrooms and did a great job. Very hands on and had great communication during the process. All the sub contractors were wonderful. We are thrilled with our two new bathrooms. Thank you, Gabor!